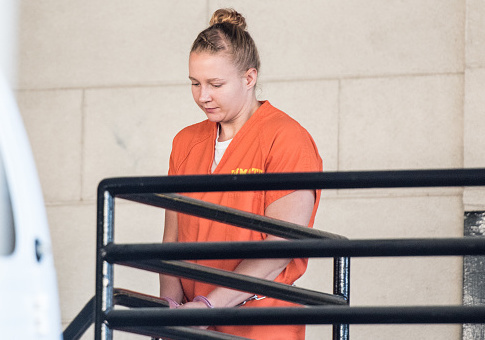 Former National Security Agency contractor Reality Winner, who is accused of leaking a classified report to the media, blamed the stress from having to listen to Fox News at work for exposing the classified intelligence. "I think you made a mistake," FBI Special Agent R. Wallace Taylor said while interrogating Winner, according to a transcript obtained by Politico that federal prosecutors filed in court Wednesday. "I don't think either one of us think you're trying to be [NSA leaker Edward] Snowden." "I guess it's just been hard at work because… I've filed formal complaints about them having Fox News on, you know?" Winner said. "At least, for God's sake, put Al Jazeera on, or a slideshow with people's pets. I've tried anything to get that changed," she continued. "It doesn't matter which side you're watching," Agent Taylor opined. "I think they're all pretty bad." Winner, 25, did say she liked at least one cable media figure. When the agents asked if there was anything in her desk that they should know about, she joked that she had a fake signed photo of CNN host Anderson Cooper. "He is quite good-looking, so that is something you must contend with," she joked. The agent agreed that Cooper "cuts a figure." This entry was posted in National Security and tagged Al Jazeera, Anderson Cooper, Fox News, Intelligence, NSA, Reality Winner. Bookmark the permalink.